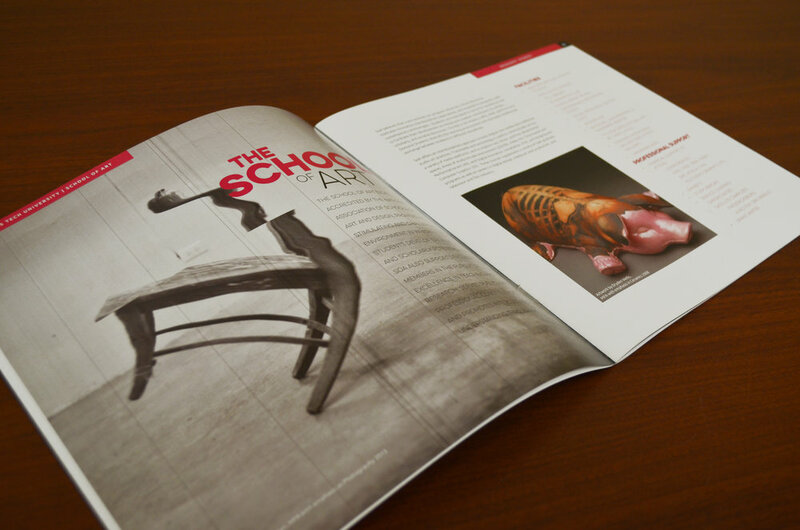 I designed the Texas Tech University School of Art Graduate Studies information booklet. I kept simplicity and eligibility in mind as I developed the layouts. I used full bleed photos to showcase the talent and artwork of the students. I wanted the typography to be interesting yet easy to read so I wouldn't take away from the information and beautiful photographs of the art.